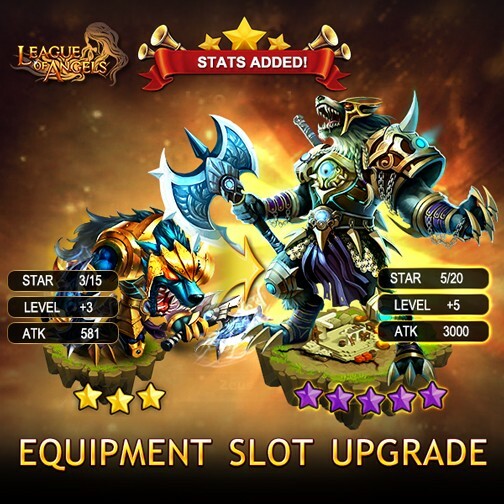 League of Angels has won multiple Best Browser Game awards since its release and has continued its success by providing a stream of quality updates that bring fantastic new content for the fans. The latest update introduces a mighty new mount and the Equipment Slot upgrade system to the free to play MMORPG. Progression plays a big part in RPG games like LoA. Both veterans and new players are always working hard to improve their Battle Rating in order to conquer greater challenges and climb the ranks in PvP. The following new additions will help players reach new heights. 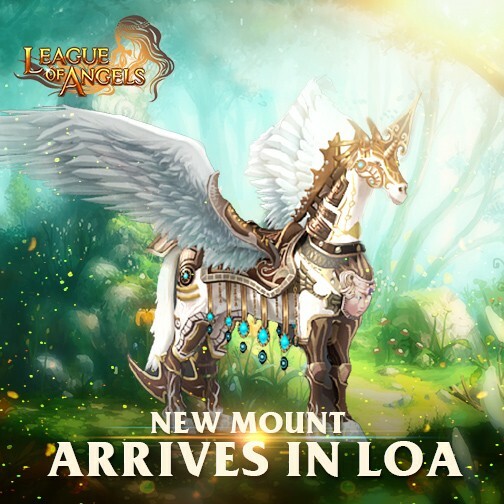 League of Angels is excited to announce the release of a spectacular new mount, the legendary Windance Unicorn! This majestic horse features beautiful and intricate armor design, elegant wings, and its iconic horn. But there is so much more than just appearances. Windance Unicorn can be evolved into the Enhanced Fire Unicorn, which is currently the strongest mount in LoA! Besides the magnificent flame effects, the Enhanced Fire Unicorn’s amazing Glamour skill will buff your team’s Attack and Defense by 9.5% and Hit by 6% for 3 rounds. This evolution is a must-have for players looking greatly enhance their team and get an edge on the competition! Equipment Slot upgrade is a brand new progression system for LoA. Each hero’s equipment slot can now be upgraded to provide stat bonuses, which will always be applied to your heroes regardless of what equipment are in those slots. Don’t worry about finding new equipment, equipment slot bonuses will always be with you! Slot upgrades will also be transfered during Hero Inherit.